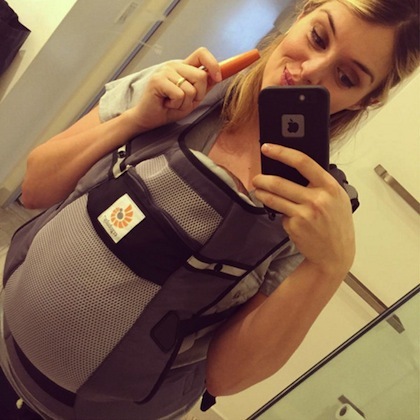 Daphne Oz has offered more glimpses of her and husband John Jovanovic's new baby son, Jovan Jovanovic Jr. The 29-year-old The Chew co-host recently posted on her Instagram page two new pics of the child, whose face is not shown. She is seen carrying the boy in a baby carrier in one, while another shows him being fed. Daphne posted the first pic of her son when he was five days old and his face was also hidden then.